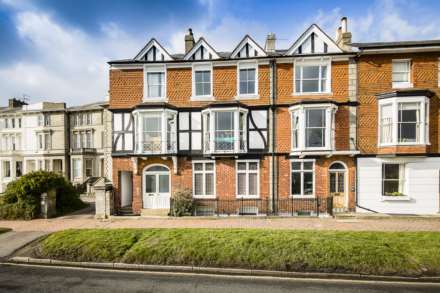 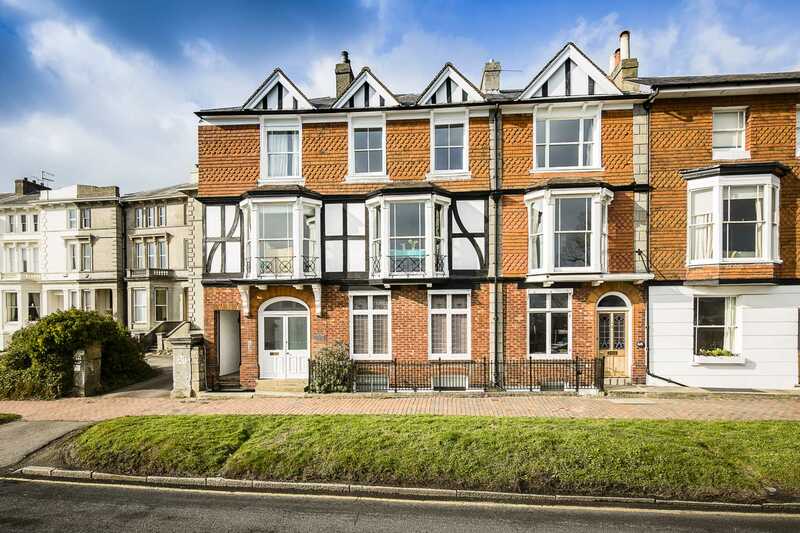 SOLD BY FLYING FISH PROPERTIES This stylish apartment is set on the lower ground floor an impressive semi-detached period conversion. 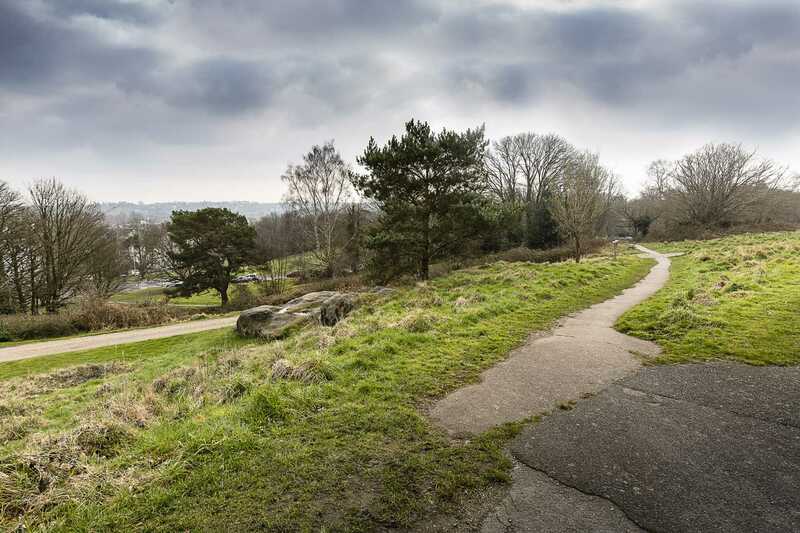 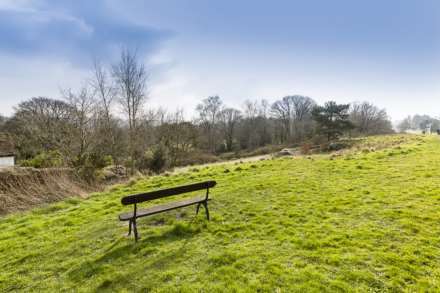 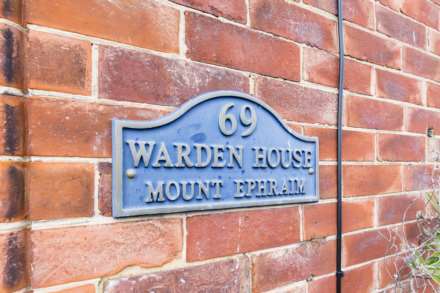 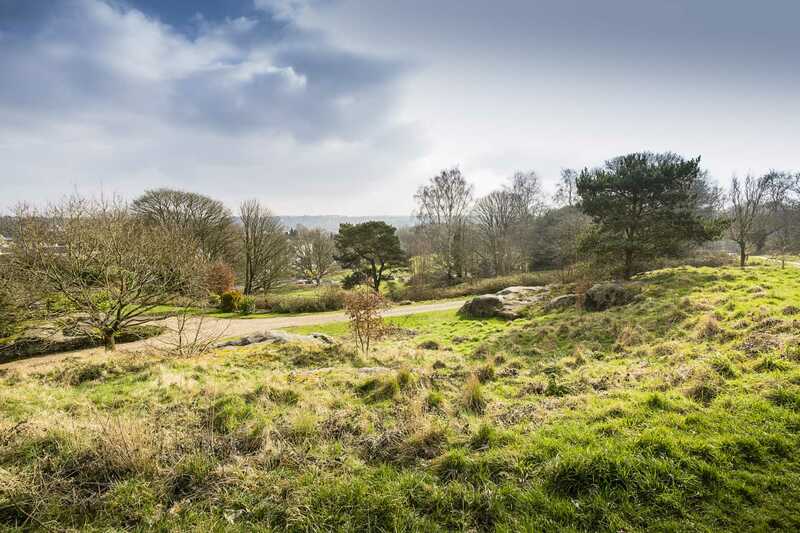 The house sits majestically on the prestigious Mount Ephraim, a stone`s throw from the bustling town centre`s restaurants, shops and cafes with the green open spaces of Tunbridge Wells Common opposite. 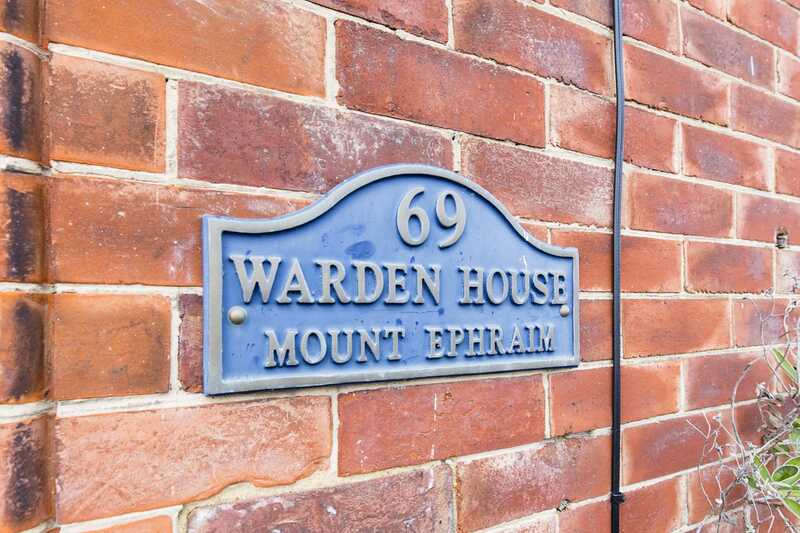 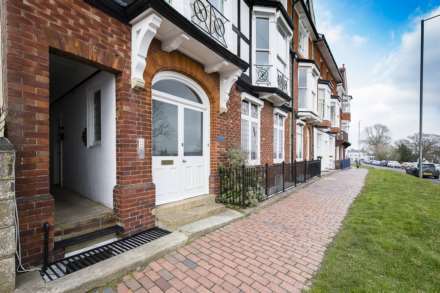 Conveniently accessed through a side archway, a set of steps wind you down to a smart communal entrance hall which is virtually private as it services only two of the apartments. Entering through its own front door into a wide hallway, neutral and fresh décor seamlessly links each room giving a true sense of space and light. 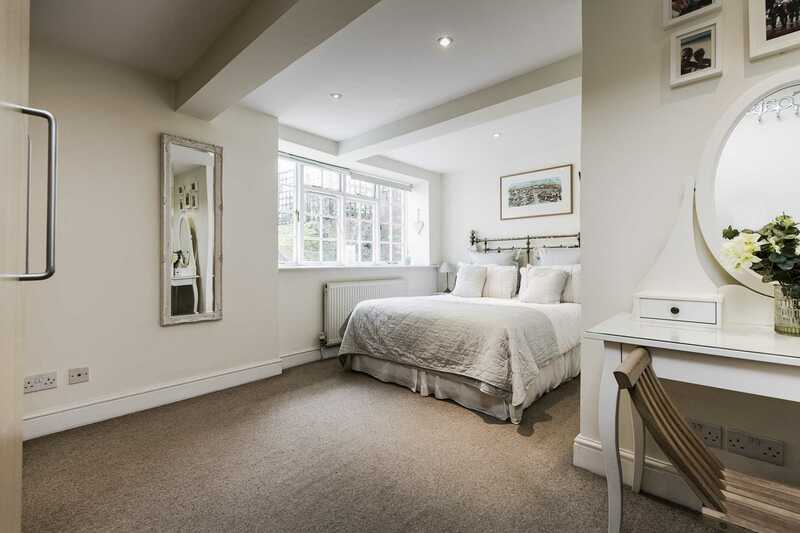 On your left the restful double master bedroom enjoys plenty of natural light from its pretty window. 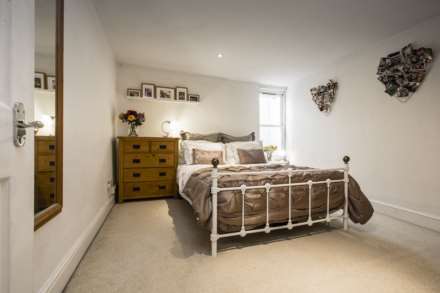 It is a large room with plenty of space for wardrobes and bedroom furniture too. Opposite the spacious living room is flooded with light from its front windows and glazed door which opens into an enclosed private lightwell. 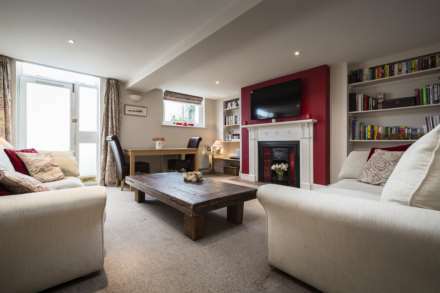 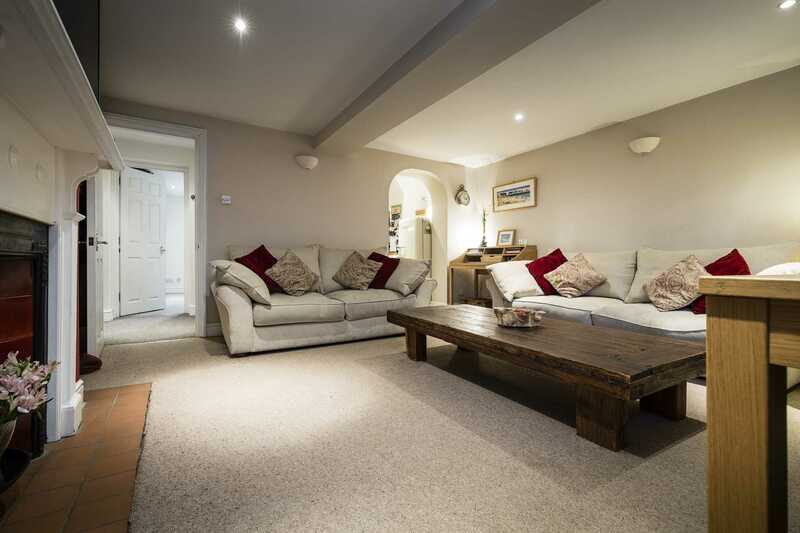 With ample room for a deep sofa and a dining table and chairs it is the perfect space to relax or entertain in and a stunning period fireplace adds character and warmth. The kitchen which is separated and off the living room is a stylish room with sleek cream metro tiles, cream cabinetry and contrasting warm wooden work surfaces. 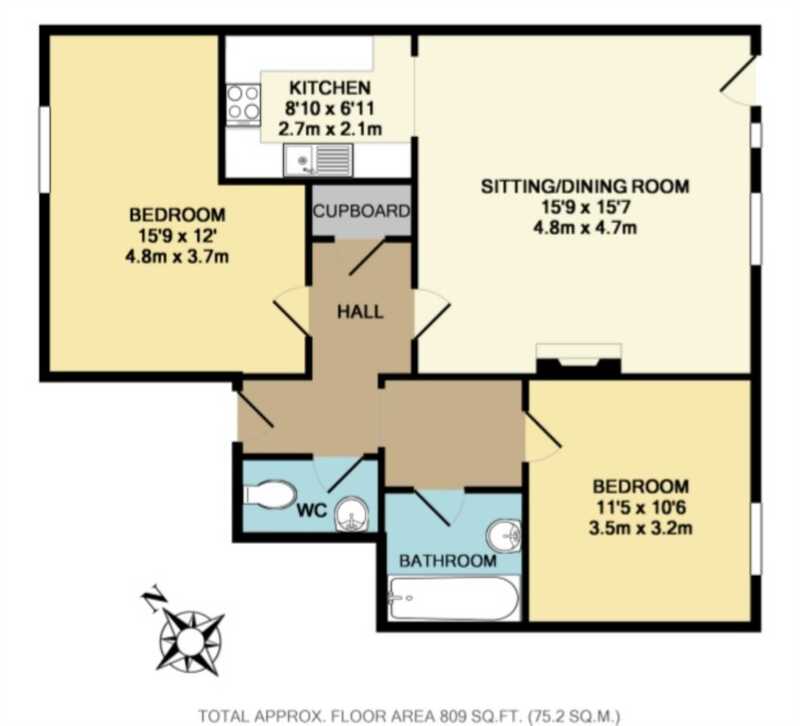 It is finished to a modern standard with plenty of storage to be found and with room for appliances it is a cook`s dream. At the far end of the hallway, the second bedroom is also a good sized light and airy room. The bathroom, with a shower over the bath and heated towel rail creates a relaxing and contemporary bathing experience. 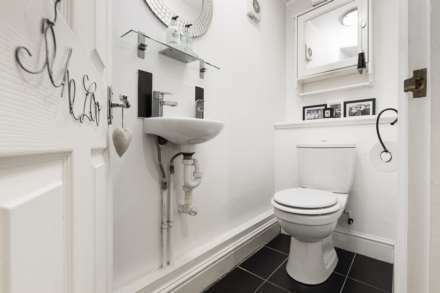 A separate cloakroom completes the apartment. 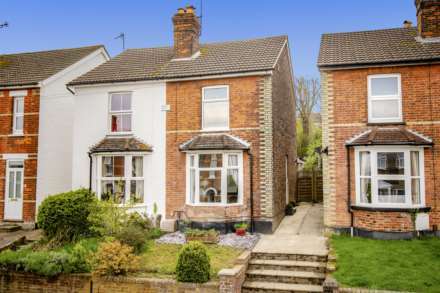 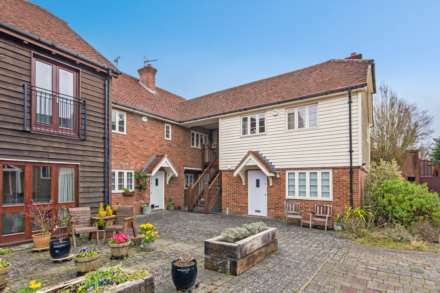 Its fantastic location, close to the shops and the mainline station and being well designed and finished to a high standard really make it a show stopper of a home that deserves to be admired. Bedroom 1: 15`9 x 12` rear aspect window with bars and radiator. 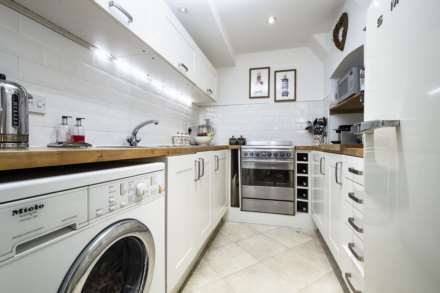 Kitchen: 8`10` x 6`11` stainless steel 1 ½ bowl sink with drainer and mixer tap over, space for oven, space for fridge/freezer and plumbing and space for washing machine. The kitchen has plenty of wooden work top space, cream metro tiles, tile effect laminate flooring and a selection of eye and base level cream units with wine rack. Bedroom 2: 11`5` x 10`6` front aspect window and radiator. 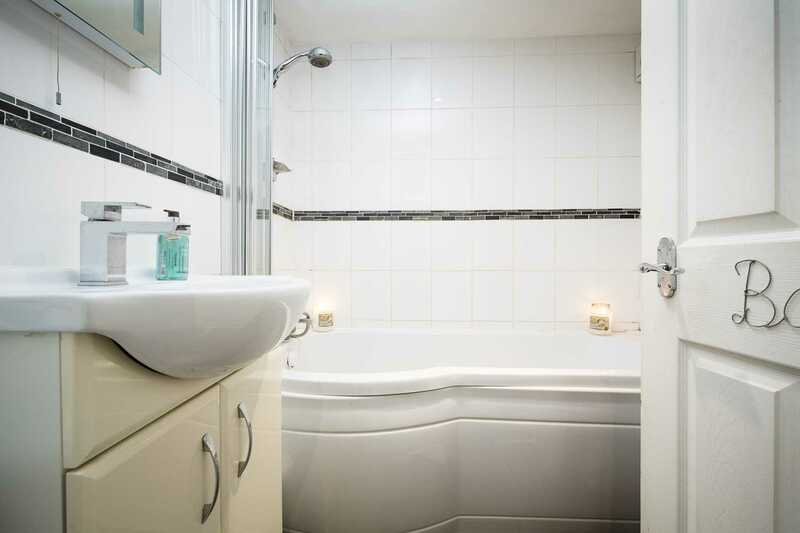 Bathroom: panel enclosed P shaped bath with wall mounted shower fitting, glass folding shower bath screen, vanity unit with wash hand basin with mixer tap over and cupboard under, heated towel rail and tiled flooring. Cloakroom: low level WC, wall hung wash hand basin, heated towel rail and tiled flooring.